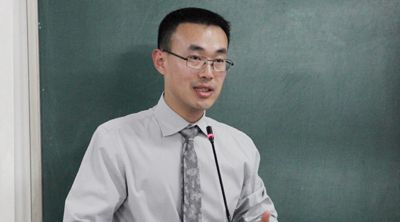 Dr Xuan Gao was appointed as the Deputy Editor-in-Chief of the MJIEL in 2011. He specialises in public international law, international economic law and international institutional law. Xuan is currently Chief Counsel, Institutional at the Asian Infrastructure Investment Bank (AIIB) in Beijing. Prior to joining AIIB, he served as Legal Counsel at the International Fund for Agricultural Development (IFAD), a UN Specialized Agency based in Rome, for six years from 2010, looking after the legal aspects of the Fund’s sovereign lending to Asia and Eastern Europe and a wide range of funding and institutional matters. Xuan worked in China between 1999 and 2005, first with the People’s Bank of China (PBOC) and then in the private sector. He also served briefly the Office of Legal Affairs of the International Criminal Police Organization (INTERPOL) in Lyon and the Office of the General Counsel of the European Bank for Reconstruction and Development (EBRD) in London. Xuan has published extensively on topics of public international law and international economic law with Oxford, Brill Nijhoff and Kluwer, among others. He has held various guest and visiting professorships including at Loyola University, Chicago, Peking University, Wuhan University and China University of Political Science and Law. Xuan received his Ph.D. and LL.M. from the University of Manchester and LL.B. from China University of Political Science and Law.